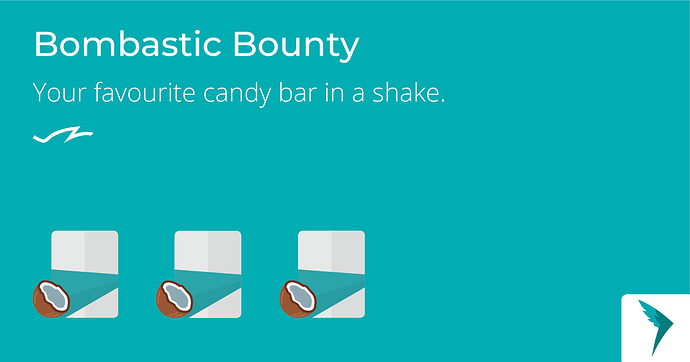 Bombastic Bounty is available for about a week now, did someone got the chance to try it yet? If yes, what do you think of this choco-nutty flavour? About to place a large order so would liketohear whether people are enjoying this. Will definitely try a pouch or 2 but if it's popular i may go for more. Just received an order yesterday and had my first sip, OMG this is delicious!!!! Definitely one of my favourites along apple pie. Had it few times today, really good smell and balanced taste. Not too sweet either, which was my biggest worry. Probably the best limited edition I’ve tasted. Can't wait to receive my pouch of bombastic, always been fond of coconut but never found a good one. I like it very much. Ordered 12 bags after i tried first.